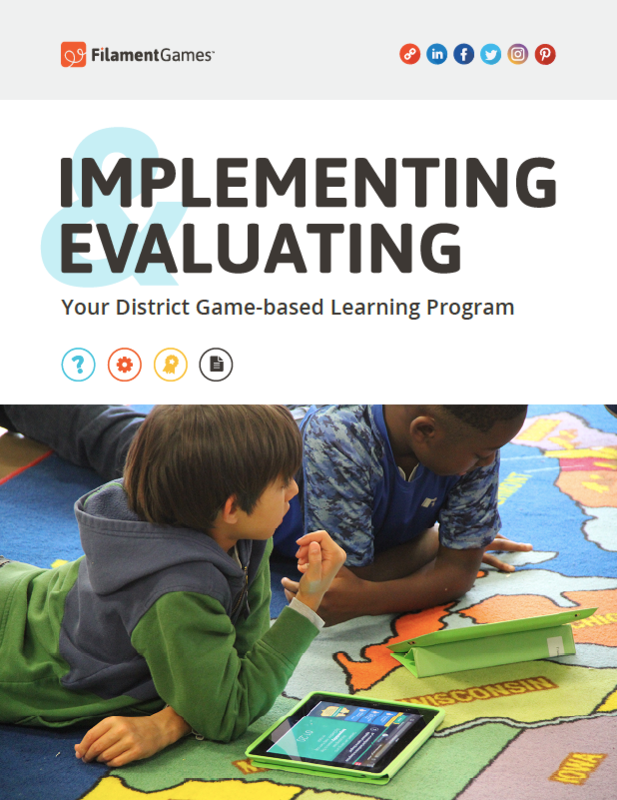 Last year we released the District Game-based Learning Implementation Guide to help administrators, Technology Directors, and Curriculum Specialists introduce game-based learning at a district-wide level. Since then, we’ve heard inspiring stories about how these game-based learning programs have engaged difficult to reach students, empowered educators, and inspired gaming clubs and projects! We thought it was time to bring you a more comprehensive guide to game-based learning. Implementing and Evaluating Your District Game-based Learning Program not only helps you kickstart your game-based learning program, but also provides important lessons on how to evaluate student learning, analyze the success of the program, and includes step-by-step plans and worksheets to help you stay organized. Implementing and Evaluating Your District Game-based Learning Program features anecdotes, worksheets, and tips from educators and administrators who have already introduced a game-based learning program in their district. Download your free copy today and inspire your students and staff with the power of game-based learning!